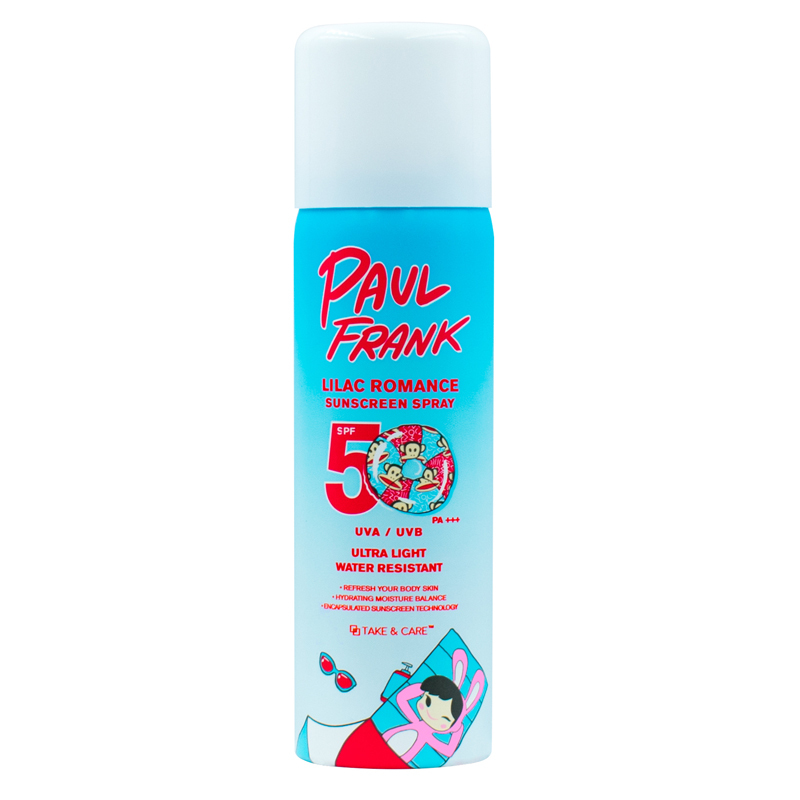 Lilac Romance Sunscreen Spray SPF50 is specially water-resistant formulation. It maintains the skin’s moisture balance and revive skin health tone and texture and Vitamin E to help combat oxidation and premature skin aging. Help moisturize and comfort skin suffering from sun exposure with Aloe Vera, Pear and Lilac Extract. Provides SPF 50, UVA / UVB protection. Suitable for all skin type. Ultra light and non-sticky formula. Encapsulated sunscreen technology, provides refreshing and comfortable skin feel. Directions: 1. Shake well before use. 2. Spray on your body and evenly to all areas before sun exposure. Reapply every 1-2 hours especially after swimming and toweling. 4. The use of cosmetic product with sunscreen is only one of the ways to reduce risk of danger from sunlight..
5. Read directions carefully and follow accordingly. 6. If any abnormality occurs after use, stop using the product and consult physician or Pharmacist. 7. Do not stay too long in the sun, even while using a sunscreen product.